and some blurb! 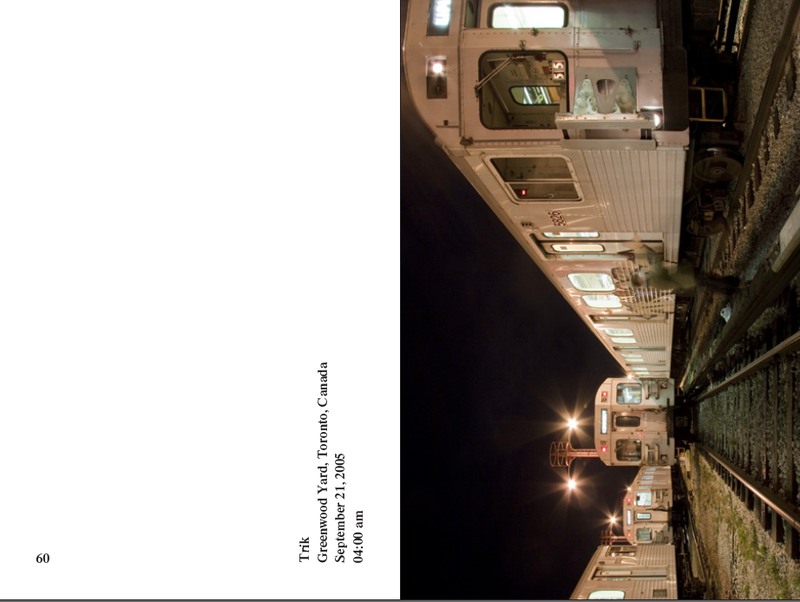 Looks dope, if the preview photos are anything to go by, even tho the photos are sideways..
From Alias Press, the publishers of Ultimate Graffsportz 2, we present ‘Our Side Of The Tracks’. Photographers Oahu and Phil America present a book like no other and a journey into places where no one else dares to take you. This book is a must-have for anyone interested in the phenomenon of graffiti on trains and the adventerous and secretive individuals behind it. It focuses on the artists behind the names bringing you photos of some of the most infamous and well-known artists on the scene, all photos which have never been seen before. Our Side Of The Tracks contains 10 years of images showing the faces, places and spaces the photographers have visited throughout both Europe and North America. The collection of over 70 photos is curated with care and insight, and will open the eyes of even the most involved individuals to a new side of the genre, while capturing a part of a ever-evolving art form many do not even know exists. Tripods, chases, police reports, and action, action, action. The book includes portraits of many of the world’s most famous artists involved in the graffiti scene as well as many of the most visited and the most obscure places, out of reach from the general public, where graffiti writers go to paint on trains. It will not only be the bible in ones library but it will stand as a timeless piece of work in the scene now seemingly over-saturated in books about the subject. 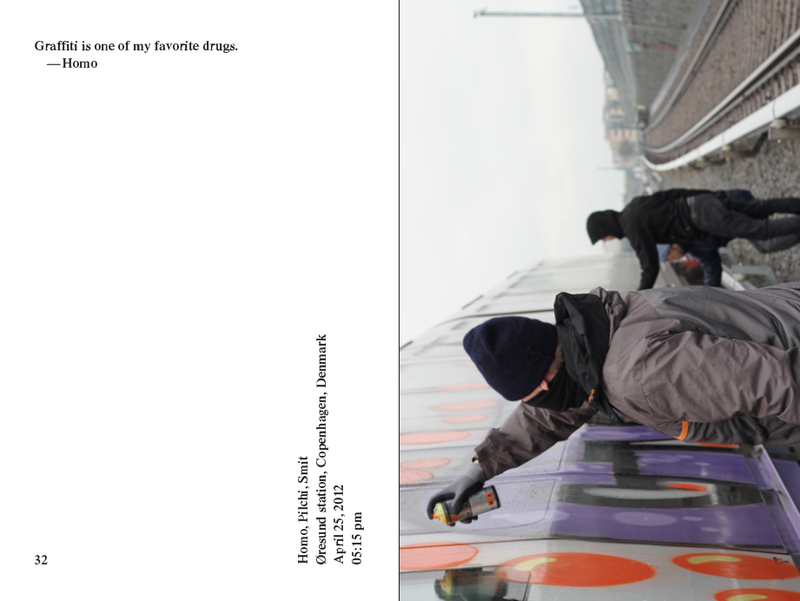 A subculture on the rise and the first-hand, behind-the-scenes look at the people, considered criminals, who practice the art known as train painting, the last antidote to blatant advertising. 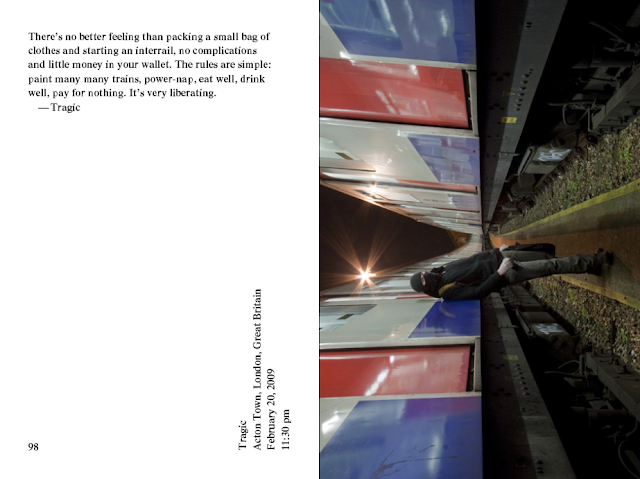 The photos include everywhere from New York’s grimy subway tunnels, Copenhagen’s ever-clean Metro layups, Milano’s gypsy-controlled train yards, Washington DC’s high-security spots, Paris’ legendary underground, to even Switzerland’s perfect trains. Catania’s subway before it was a tourist attraction in the graffiti scene, looking cleaner than ever. 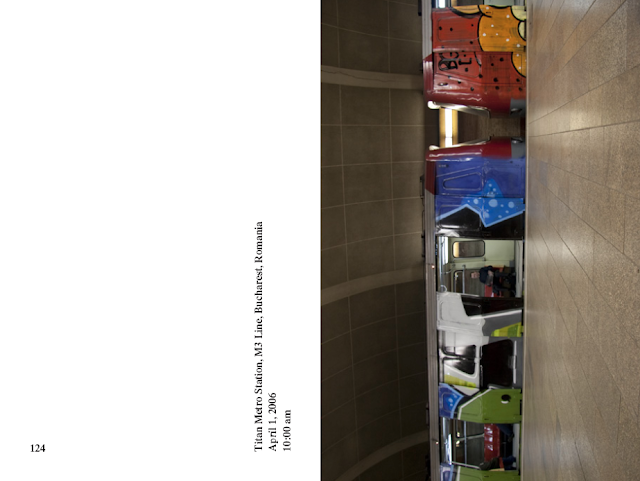 Bucharest wholecars covering the windows in 2006. Switzerland’s capital of Bern in the buff. Action in Toronto, Canada. Climbing through windows in Milan. Between the lines in Miami. Belgium, Greece, Holland, Hungary, Germany, England, Spain, France and Austria. Over 35 cities with places and times of the photos.